TV manufacturers, set-top box makers and smart TV software developers have tried for years to get rid of the old D-pad remote control and on-screen programming grid for search and navigation. They’ve tried motion control, Bluetooth qwerty keyboards, touch pads, and casting from mobile devices. With the exception of casting, most have proved pretty kludgey. At the International CES underway in Las Vegas this week, voice activation has emerged as the TV interface flavor of the month. Amazon announced that it has licensed its Fire TV interface — complete with its Alexa voice-controlled digital assistant — for use in a trio of low-end 4K TV brands based in China. Display sizes will range from 43 to 65 inches and device will come with 3GB of RAM, 16GB internal memory for apps, and a remote control with integrated microphone for talking to Alexa. Not to be outdone, Google announced it will bring Google Assistant to all TVs and set-top boxes running Android TV, including Sony’s Bravia models and Sharp’s Aquos line. Voice control for the TV isn’t a new idea, of course. Rovi introduced its voice-activate Fan TV interface at last year’s CES, which is now available in some DirecTV set-tops, while Comcast has lately been pushing its voice-controlled interface for its X1 platform. What makes the Amazon and Google efforts different is that neither Alexa nor Google Assistant are native to any particular TV platform or operating system. Like Siri, which is integrated with Apple TV, they are being ported to the TV, with its unique discovery and navigation challenges, from entirely separate ecosystems. And they’re bringing those ecosystems with them. In addition to searching for TV shows to watch, for instance, Fire TV users will able to ask Alexa to play music and audiobooks, check the news and weather, look up movie and showtimes, consult Wikipedia, and re-order items previously purchased from Amazon, among other things. More to the point, bringing Alexa and Google Assistant to the TV set is strategy aimed at incorporating TV viewing into ecosystems Amazon and Google already control. Google has been here before. It tried to reinvent the TV interface with the ill-fated Google TV and early iterations of Android TV. 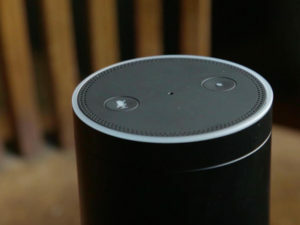 Those efforts, however, lacked the natural-language processing capability that might have made voice control useful as a navigation method. More important, they ran into stiff resistance from pay-TV service providers, who refused to integrate their services with Google’s interface. Google has even tried to hijack the pay-TV UI entirely, providing much of the lobbying muscle behind soon-to-be former FCC chairman Tom Wheeler’s proposal to “unlock” the set-top box and force service providers to make their video feeds accessible to third-party developers. The pay-TV industry appears to have successfully beaten back that effort through, its own fierce lobbying effort, and with the help of a new lineup of FCC commissioners under incoming president Donald Trump. But as the news from CES this week makes clear, neither Google nor Amazon, or for that matter Apple, has completely given up the dream of gaining control over the biggest screen in the house and all the data that would come with it. The difference this time is they have Siri, Alexa and Google Assistant to try to talk their way into it.